It’s an exciting time to be in the real estate business in Northern Michigan. I love to sell luxury homes! This past year we teamed up with Christie’s International Real Estate to make North Harbor Real Estate the only Luxury Christie’s brokerage in Northern Michigan. The team we have here is incredible and I love to come into work every day after my workout at the Boyne Mountain Fitness Center and see them all busy at work. 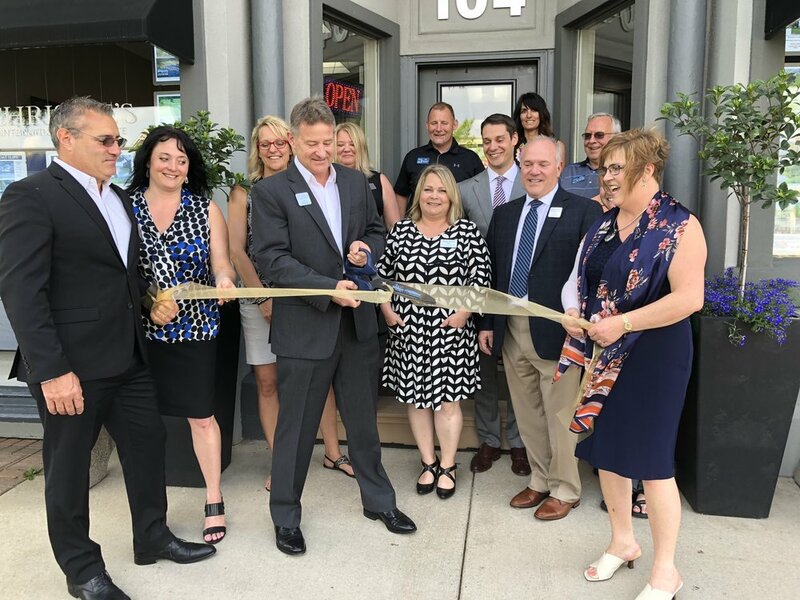 The ribbon cutting for our new office was a wonderful event and the smiles on the realtors faces says it all! Do you know that this job is my dream job? It is. I can’t imagine doing anything else and I want to work for you. As an agent with over 33 years of experience listing and selling luxury lakefront and beach property in Northern Michigan my hands are the ones that should be handling your contracts. When you are ready for the Jeff Wellman and Christie’s fresh approach to real estate come see me! Jeff Wellman a Fresh Approach to Real Estate.